The Spanish investments in India rose five times to $158 million in last year. 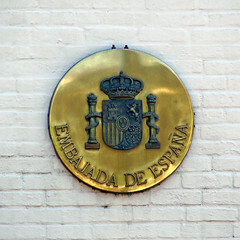 Over ten leading companies entered the country during the period, according to senior Spain government officials. “Many Spanish companies are present in sectors like infrastructure, insurance, auto components and ports and more are keen to enter the market as India’s economy is quite promising,” Javier Sanz, chief executive officer of ‘Invest in Spain’ said. ‘Invest in Spain’ is a government agency for promotion and attraction of foreign investments in Spain. Spanish firms such as Navantia (naval construction) Dragados (container terminal), Grupo Roca (parryware), Gropo Antolin (auto components) Mapfre (insurance) Televent (urban infrastructure), Isolux (infrastructure) Cobra (infrastructure) and Indolink (consultancy) set shop in the country in the past one year. “Spanish investment in India was $158 million during the first three quarters of calendar year 2008. This had increased by 500% from the previous year,” Mr Sanz said. ‘Invest in Spain’ recently met fourteen well-known Indian entrepreneurs to explore business opportunities. “Our companies have been investing in the automotive and infrastructure segments in India. One of our firms, Caf (Constructions y Auxiliar de Ferrocarriles), is working with Reliance on the stretch of the Delhi metro project connecting the railway station to the airport,” Embassy of Spain, Economic and Commercial Counsellor, Teresa Solbes said. Spanish fashion retail giant Zara is also keen on investing in India. Last week, Indian corporates like Infosys, Tata Consultancy Services, ICICI Bank, Essar Group, Navneet Publications, X L Telecom & Energy, Tata Motors and Kingfisher Airlines met Spanish delegates. Spain is seeking Indian investments in the ICT, renewable energy, biotechnology, aerospace and logistics sectors. India’s investments in Spain have been fairly insignificant. This entry was written by , posted on January 12, 2009 at 6:14 am, filed under Property News and tagged Commercial Counsellor, Delhi Metro, Embassy Of Spain, Foreign Investments, Indian Corporates, Indian Entrepreneurs, Indian Investments, Investing In India, Kingfisher Airlines, Metro Project, Navneet Publications, Parryware, Retail Giant, Spain Government, Spanish Companies, Spanish Fashion, Spanish Firms, Tata Consultancy Services, Tata Motors, Urban Infrastructure. Bookmark the permalink. Follow any comments here with the RSS feed for this post. Trackbacks are closed, but you can post a comment.